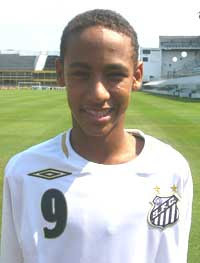 "Is Neymar Black? Brazil and the Painful Relativity of Race"
No, it’s just that Latin America’s one-drop rule works in the opposite direction. You are only black black if you have no obvious white ancestry at all. In contrast, the new Democratic candidate for governor of Maryland, Ben Jealous, is a Golf-American who grew up on the Monterey Peninsula down the road from Pebble Beach. But he is still the former head of the NAACP and the first black something something something. When audiences tune in to watch Brazil play, they are treated to a rich spectrum of skin tones flashing vibrantly across the screen. The racial makeup of the Brazilian squad, in fact, generally reflects the demographics of the country. According to 2017 data released by the census department, 47 percent of Brazilians identify as mixed-race, while another 8 percent identify as black. Whereas in the U.S., only a tiny percentage of people identify as mixed race. President Obama, for example, who often cited his white nature and nurture while attempting to win white votes on the campaign trail, chose not to identity as mixed race on the 2010 Census. … after abolition, the ruling class mounted a campaign to whiten the majority-black population, by fully subsidizing the immigration of over four million white Europeans, giving them free land, and compelling Brazilians to take up with them. Segregation is bad but Integration is bad, too. It all depends up on Who versus Whom. … When in 1965, Ebony magazine set out to explore why, at the height of the U.S. civil rights and African independence movements, black Brazilians had failed to mobilize in a similar fashion, it concluded that Brazil’s legacy of embranquecimento, or whitening, had a great deal to do with it. Brazil incorporates the more talented mixed race people into the whitish ruling class, while America recruits talented mixed race people of privileged backgrounds like Jealous and Obama to be leaders of the entitled minorities. Concerns over affirmative action fraud have plagued some of the most prestigious university programs, fostering unease on campuses. Students of complex heritages and identities report each other to administrators for not being black, or at least black enough. Episodes of mass expulsions occur multiple times a year — followed, inevitably, by lawsuits from the expelled students. As I pointed out in Taki’s earlier this year, the reason affirmative action works much more smoothly in the U.S. than in Brazil where there are constant squabbles over whitish people attempting to game the system to win quota prizes is because American whites hold themselves to an honor system when it comes to racial identity. But in America’s current ideological climate over who are the Bad Guys and who are the Good Guys, who can notice that American whites tend to behave in an admirably self-denying fashion when it comes to affirmative action gaming? Basically, wokeness is a form of cognitive shorthand for determining who are the Good Guys and who are the Bad Guys. Instead of having to laboriously work out via objective principles who in a situation is behaving better, you can just tell who is Good and who is Bad by looking at them or listening to them assert their identity claims. Now, of course, there are endless unresolved complications and disagreements in terms of Intersectional Diversity Pokemon Points. But the holders of Pokemon Points can at least agree that Cishet White Males are Bad, which does a lot to paper over the cracks in the Coalition of the Fringes.